The central Italian region of Tuscany is rich with culture, history and stunning scenery. Here is where you’ll find an incredible landscape bursting with an abundance of vineyards, dense olive groves, crumbling castles and medieval hilltop towns which boast dramatic views. 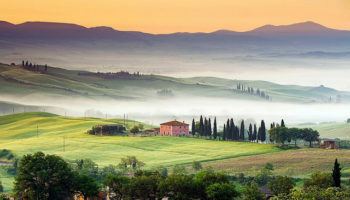 Tuscany’s landscapes and rustic villages are romantically charming: small, narrow lanes inside walled towns hide hotels housed in medieval buildings, old piazzas where locals gossip, and decadent, antique villas all add to the classically Italian atmosphere. 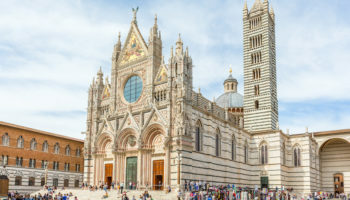 Tuscany’s spectacular towns and cities offer travelers a glimpse into an Italy of the past through world renowned iconic landmarks, such as the leaning tower of Pisa and the open-air museum feel of Florence with its awe-inspiring architecture. The region is rich in distinct Tuscan culture, each area has something unique for visitors to discover – and taste. Much of Tuscany is taken up by farmland, meaning local cuisine is ingrained with tradition and flavor, along with a fair few famous wines that are produced in the hills of the area. With all this and its endless rolling vistas, captivating architecture and a depth of culture and history, it’s hard not to be charmed by Tuscany’s beauty. The only thing left is to choose where to stay in Tuscany – but don’t worry: we’ve got you covered. 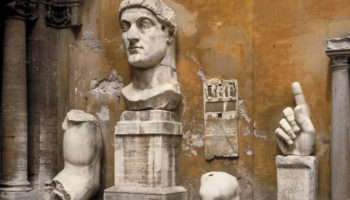 Florence is a world-famous center for history and art. 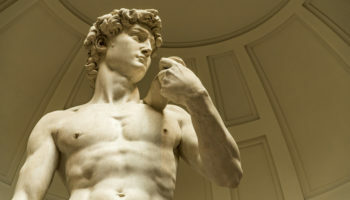 A cultural capital, Florence is the third largest city in Italy, and is where you want to be if you are visiting Tuscany to learn more about its depth of medieval and Renaissance art. 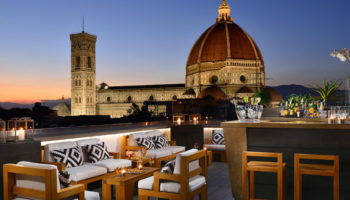 But Florence is more than its past: in the evening the city comes alive with people sitting outside eating and drinking and enjoying the convivial atmosphere. 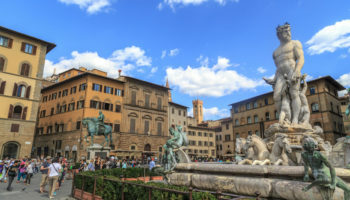 If you want to travel to other cities in the Tuscany region, you can use Florence’s great public transport links to take day trips to nearby attractions; there is a bus service to Siena, or you can take the train to places such as Pisa and Lucca. Accommodation across the city ranges from basic budget lodgings to luxury hotels housed in historic buildings. 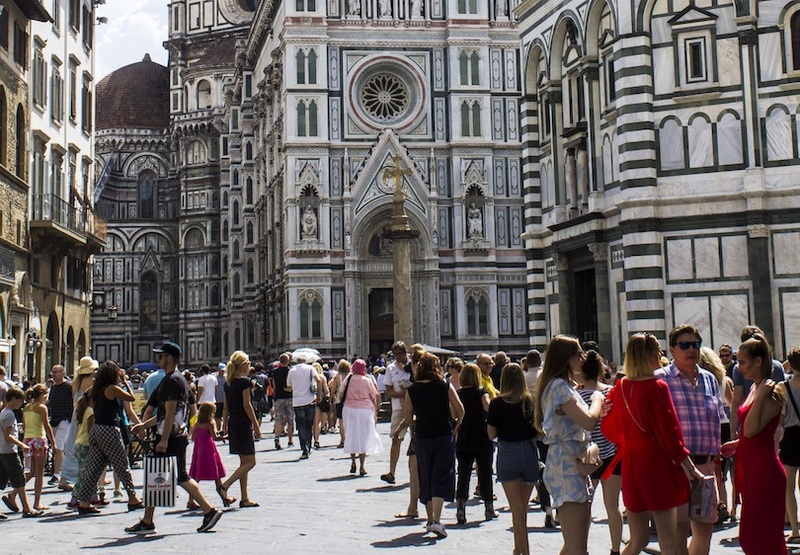 If you are planning on making day trips to other cities, choosing to stay close to the Santa Maria Novella train station will mean hassle-free travel. 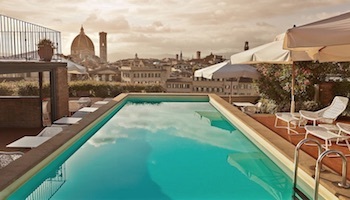 Hotel Bernini Palace – Housed inside a historic 15th century building, this high-end hotel is right in the center of the city and is well placed for excellent public transport around the city via the bus network. Polished and elegant rooms are decorated with antique furniture. There’s even the option to select a suite with Murano glass lamps, wooden four poster beds, luxurious seating areas and jacuzzi baths. The ideal place to stay for people who want to luxuriate in the history and tradition of the city, guests have the choice of dining in the 16th century courtyard – or in the dining room with its frescoed ceiling. Solo Experience Hotel – Rooms at this hotel are large and elegant with plush furnishing, gleaming surfaces and parquet floors. Beds are big and comfortable and there’s even a selection of pillows to choose from. The hotel may be small, but it’s in a great location, close to many of the main attractions in the city – such as the Basilica di San Lorenzo – plus it’s very close to the city’s main train station. Locally run, the staff are extremely helpful and are always on hand to help guests out with requests and travel tips. The breakfast on offer at the hotel is large and there’s a huge selection of options to choose from to suit your dietary requirements. Grand Hotel Baglioni – This 4-star heritage hotel is in the ideal spot for soaking up all of the city sights. Thanks to its central location, the Basilica of Santa Maria Novella is just a stone’s throw away. Rooms in this hotel (dating back to 1903) are tastefully decorated with touches of traditional decor. Some rooms feature high, wood beamed ceilings, floor to ceiling windows and comfortable seating areas. There are three hotel restaurants to dine in, along with two bars – one of these is up on the rooftop and comes amazing views of the city, especially at night. Machiavelli Palace – A fantastic location for those who are arriving in the city by train, this hotel is less than ten minutes’ walk from Santa Maria Novella train station. A small, simple and comfortable place to stay in the city, this amazing 14th century building was formerly a convent (oh, and a palace), and rooms are decorated to reflect the history and have large windows with city views. The original wood beamed ceilings are charming, and the various pieces of antique furniture throughout the hotel ooze the traditional Florentine style. Take in the city from above on the rooftop terrace and enjoy a hearty breakfast. Famous the world over for its leaning tower, Pisa attracts millions of visitors a year from all over the world. Choosing to stay in Pisa will mean you get to see the famous tower in the Square of Miracles after many of the day visitors have left and the area is much less crowded. In the evening the tower is also impressively illuminated, which makes for the perfect setting for a romantic Italian getaway. Away from the main tourist areas, students from the town’s university make up more than half of Pisa’s inhabitants. Because of this large student community the evenings here include many cultural events alongside a fun, young atmosphere around the bars and restaurants. 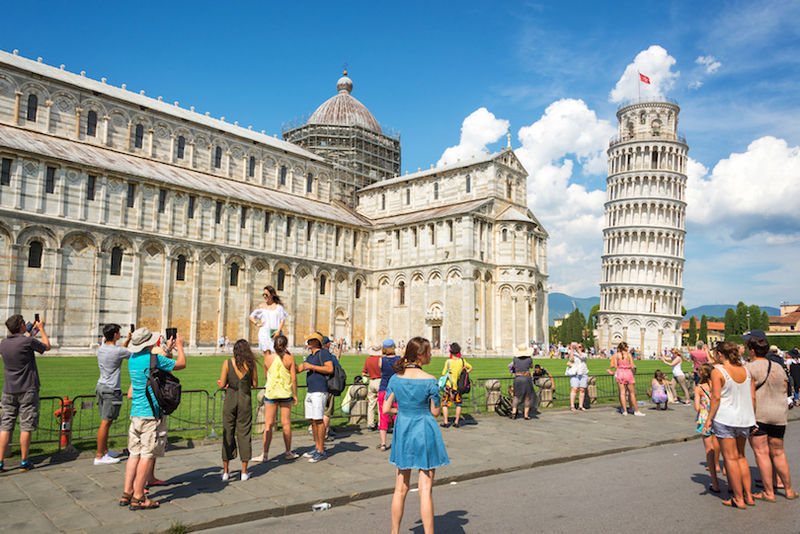 It’s easy to reach Pisa by train and you can use the local bus network to explore the city. If you are traveling on a budget you can opt to stay in one of the city’s hostels, or if you want to splurge why not choose to stay in one of the hotels housed in old villas. Hotel Bologna – Decorated in a rustic Tuscan style – complete with warm colors and a homely atmosphere, staying in this hotel means relaxing in charming traditional surroundings. Rooms here are simple but boast high ceilings and chic wooden shutters that open up onto the buzzing city streets. A low-key but romantic place to stay close to the downtown area of the city, Pisa Centrale train station is less than ten minutes on foot from here; the Leaning Tower of Pisa itself is a twenty-minute walk away! There’s also the option to use the Hotel Bologna’s free bike hire service. Hotel Roma – Clean and conveniently located, this is a great choice of hotel for budget travelers. The Leaning Tower of Pisa is a mere five-minute walk away, but the hotel itself is tucked away along a quiet, picturesque street. This 3-star offering feels like a friendly place to return to after a busy day seeing the city sites. Rooms are safe and secure, with big beds and en-suite bathrooms; some rooms have balconies that boast amazing views of the city. Downstairs you’ll find a large hotel lounge and hotel garden to spend time in. The small city of Siena is packed with character and beauty – with its incredibly preserved medieval buildings, the people of the city are rightly proud of their home and heritage. Siena, although popular with tourists, remains authentic in its culture and traditions and lends itself to more than just a couple of nights. Take your time to soak in the medieval art, intricate frescoes and gothic paintings that are everywhere among the ancient Sienese architecture. The center of the city is pedestrianized, but most of the main sites are in walking distance from each other – especially if you stay in one of the historic hotels in the city center. Alternatively, if you like a bit of nature, you could choose to camp at one of the campsites outside of the city and take the bus into town. NH Siena – The perfect location for enjoying all of the sights of the city, this 5-star hotel is within walking distance of Siena’s main attractions. Situated less than a kilometer away from the buzz of the Piazza del Campo – but still in a quiet street – NH Siena is the ideal place to get a good night’s sleep in the center of the town. The hotel itself is housed in a large, elegant building, but mixes this with rooms decorated in a modern style and equipped with modern amenities. The onsite restaurant serves up traditional Tuscan dishes, plus there’s a cocktail bar for late night drinks. Hotel Athena – Hotel Athena is a great option for accommodation if you’re arriving in the city by car, since it’s situated just on the edge of the city’s limited traffic zone – and it offers guests free parking. 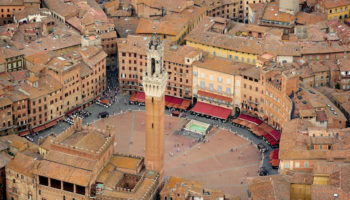 The location inside the old city walls also means that the historic sites of Siena are within easy walking distance – there’s the Cathedral nearby as well as the lively Piazza del Campo. Tuck in to the large breakfast buffet and enjoy a candle lit dinner in the hotel’s terrace restaurant, complete with amazing views of the Tuscan countryside. Rooms are large and traditionally decorated: some even have balconies to relax on. Palazzo Ravizza – Stay in the charming, family run hotel of Palazzo Ravizza and you’ll enjoy all the culture and tradition of the city. Nestled among the hills of the city, this 3-star hotel is set in a 19th century building, featuring large rooms decked out with high wood beamed ceilings and rustic furniture. There are charming historic touches of detail throughout the hotel, from delicately painted ceilings to large open fire places. The hotel’s garden is the perfect place for soaking up countryside views and the terrace is the ideal shady spot to enjoy the hotel’s complimentary breakfast. The perfect family-friendly Italian city, the walled city of Lucca boasts green spaces and quiet streets. Luca’s local population are friendly and welcoming to visitors which makes it a pleasant town to stay in. Being protected by an old wall means Lucca’s architecture remains well preserved; explore the old city on foot and wander around the exceptional examples of Gothic era architecture. Lucca is much less touristy than its more famous neighbors of Florence and Pisa, so accommodation in the city is plentiful and less costly. If you are traveling on a tight budget, feel at home at one of the clean and convenient hotels, otherwise there are many great mid-range options. Hotel Villa Casanova – This elegant Tuscan villa just outside Lucca is a luxurious world of Italian charm surrounded by valley views and wonderful woodlands. A great place for couples to stay, the Hotel Villa Casanova features a select handful of rooms; all of these are spacious and decorated in an effortless mix of modern and traditional styles with wooden floors, separate lounges, and four poster beds. There’s a swimming pool for guests to enjoy, as well as a tennis court situated in the hotel’s beautiful gardens. The restaurant serves up high-end Tuscan cuisine, plus there’s a bar for drinks in the evening. Albergo Celide – Close to the city center, this family run 4-star hotel is compact but chic and boasts boutique style rooms with amazing views of the city. A great location for exploring the surrounding streets, Lucca train station is a quick walk away, as are the medieval city walls (Mura di Lucca) and the Duomo di Lucca. Staff at the hotel are very friendly and do their best to make sure that guests enjoy their stay. The onsite restaurant is refined and serves a wide selection of dishes. There’s also a rooftop terrace where guests can enjoy drinks. Albergo San Martino – Staff at this hotel are very personable and really care about their guests. Staying here means being welcomed into the charming hotel like an old friend. The owners work hard to make sure all guests are happy and well looked after during their stay. Each room in this hotel is tastefully decorated and comes complete with interesting artwork. The lounge and bar on the terrace are great for a drink of two. Sat right in the historic center of the town, the hotel is just a few steps to the Girolamo Teatro bus station and close to the bustling market and cafes of the Piazza dell’Anfiteatro. Just outside of Siena in the Tuscan countryside lies San Gimignano. Famous for its tall, elegant towers, the Tuscan hill town sits proudly inside the protection of its 13th-century medieval walls. Popular with day time visitors who are drawn there to take in its sights, you can easily reach San Gimignano by bus or train. Staying in the town is the best way to learn more about local culture and soak in the local way of life. Choose accommodation inside the walls of the town and imagine yourself in medieval Tuscany; there are some stunning mid-range and luxury accommodation options in the town, housed in ancient buildings among a wealth of history. Relais Santa Chiara Hotel – Featuring unfussy, compact rooms with a large outdoor terrace, this hotel might be simple but its location – just a ten-minute walk to center – means it’s great for exploring what San Gimignano has to offer. The staff are very friendly, helpful, and full of information to help guests with sightseeing and restaurant recommendations. The hotel boasts a charming garden with an outdoor swimming pool, plus lounge areas to enjoy the countryside views. The rooms here are clean and contemporary and make for the ideal spot to relax after a busy day. Leon Bianco – This hotel, with its historic brick façade, is situated in a fantastic central location right in the heart of San Gimignano in the Piazza della Cisterna. The Duomo di San Gimignano and Torre Grossa are just a couple of minutes’ walk from the hotel. The selection of charming rooms has high, wood beamed ceilings, four poster beds and boast either incredible views of plaza below, or out across the Tuscan countryside. Eat the complimentary breakfast in the luxury of the sun dappled courtyard surrounded by lemon trees that line the old walls. There’s even hot tub to soak in up on the rooftop terrace. Hotel Bel Soggiorno – Featuring views of picturesque Tuscan countryside, Hotel Bel Soggiorno is set in a decidedly rustic 13th century building – but it’s not all luxury, and in fact it features rooms that are simple and unfussy. The countryside location makes it a peaceful stay, but don’t worry: it’s still close to some great sights, like the Torre Grossa, San Gimignano 1300 museum and the charming Piazza della Cisterna. If you’re looking for food, look no further than the cool, laid-back restaurant onsite, which is also where the continental breakfast gets served up daily. If you want to check out some Tuscan beaches then the Italian riviera town of Viareggio is for you. Just a quick train ride from famous historic cities such as Pisa, vibrant Viareggio boasts beaches with calm waters that are fantastic for swimming. Take a stroll along the seafront promenade and stop for lunch at one of the many cafes and bars serving freshly caught seafood. The city has some excellent examples of Liberty-style villas, some of which are now beautiful hotels. If you want to stay along the beach, there are many resorts with private beaches and great amenities to make your holiday comfortable. Hotel Sina Astor – A modern hotel that’s sat just across the street from the beach and Viareggio promenade with all of its boutique shops and restaurants to enjoy. Rooms here aren’t luxury, but they’re large and decorated in a simple, unfussy style; it’s all clean and comfortable. Make sure to pick a room with a balcony that has views of the sea so you can relax in the evenings and enjoy a drink as the sun sets. There is an indoor pool for guests to take a swim in and a small gym if you want to work out. There’s also a stylish restaurant where dinner is served on an outdoor terrace with sea views. The hilltop city of Arezzo may not be one of the classic Tuscan cities, but that doesn’t mean it should be overlooked. 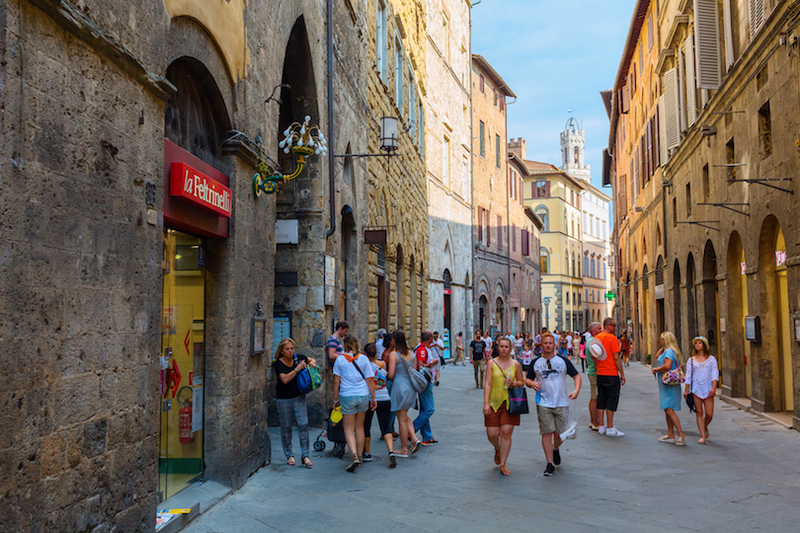 Perfect for a base from which to explore what Tuscany has to offer, Arezzo is just an hour’s train ride to Florence. The town was once a medieval commune and remains a tight-knit, proud community. 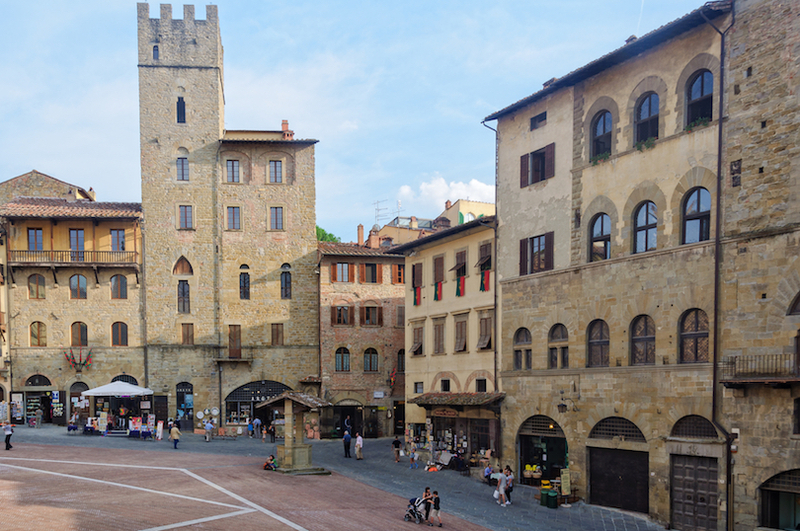 Stay in the charming city and discover its many old churches and piazzas as well as its Roman amphitheaters; you should try out the famous Arezzo cuisine too. Accommodation in the town ranges from modern hotels that are outside the ancient city to beautifully decorated mid-range traditional buildings closer to the city center – although everything in the town is in easy walking distance. Hotel Continentale – This 4-star hotel is a great option for those who like to be wowed by a location: there’s a bus station just outside, and the Piazza Grande – as well as the Piazza di Sant’Agostino – plus Arezzo Cathedral are all in easy walking distance. Back at the hotel the decor is all elegance and vibrancy, with a color-popping lobby and suites that give guests a taste of luxury, including their own terraces, access to the rooftop, and the great city views you can get from up there. The breakfast is complimentary here, which makes for a good start to a day of exploring the city. A haven on a hilltop, Montepulciano is famous for its wine production, especially the Vino Nobile di Montepulciano. 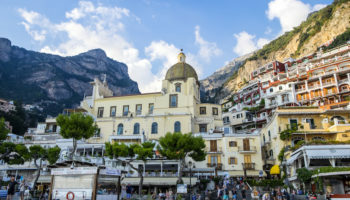 The town is also famous for its historic architecture – no major construction has taken place inside of the town’s walls since 1580 meaning that it is one of the best preserved historic towns in Italy. Stay in medieval buildings at one of the towns divinely decadent Tuscan hotels with views from rooms that look out over the surrounding countryside, across a patchwork of time-old vineyards and farmland. 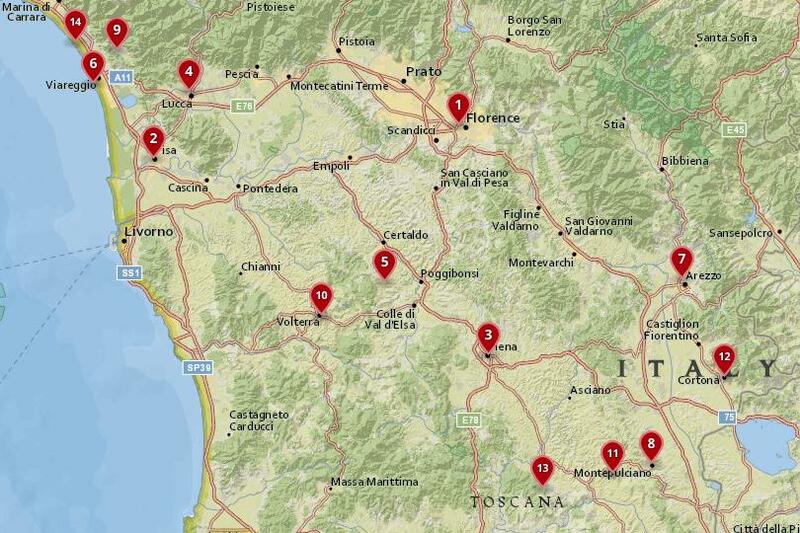 It’s easy to reach Montepulciano on the train and bus from major cities in the region. Hotel Panoramic – Simple and uncomplicated, this hilltop hotel is set among gardens and is run by a friendly local family. The peaceful, natural surroundings and enchanting views of the Tuscan landscape means it’s a great place for people who want a quiet place to stay to get away the business of everyday life. Rooms are traditional with modern elements such as air con and televisions and include large en-suite bathrooms. Some rooms look out on the terrace where there’s a sizable outdoor swimming pool and sun loungers for guests to chill out on. The small town of Lido di Camaiore, which translates as ‘Beach of Camaiore’, is a stunning example of classic Tuscan landscape. 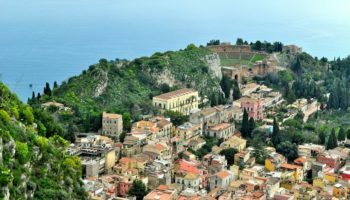 The town has been enticing creative and fashionable italian visitors for years with its sandy beaches and sumptuous sunsets. Nowadays, the old town and seafront promenade is lined with restaurants and bars for a fun atmosphere. With easy access by train, cities such as Pisa make easy day trips; you can opt to stay in one of the many boutique hotels in the art-deco buildings in the centre of Lido di Camaiore. The town also has many family-friendly coastal resort hotels for visitors to choose from. Grand Hotel & Riviera – With its stylish rooms and vista overlooking the sea – all backdropped by mountains, of course – Grand Hotel & Riviera is a great option for those looking for a taste of luxurious living during their Tuscan break. This 4-star hotel by the sea is done in a seaside, nautical theme and features a variety of amenities, including a hammam (Turkish bath), a hot tub, outdoor pool, and a sauna. The breakfast is also complimentary at this chic hotel. For culture, the Museo della Marineria is four kilometers away, but the beach is also right on the doorstep. Volterra’s oldest attractions date back to 4th century B.C: take a tour of the city’s grand old walls, well-preserved city gates, an Etruscan acropolis and the remains of ancient temples. The historical centre is full of Roman remains and, as you walk the old streets of Volterra, you can still feel an ancient atmosphere. Sample the local cuisine in the street-side eateries or stop off at the local Sunday market for fresh produce. You can take the bus to other popular cities but Volterra itself is compact enough to walk around. Many of the hotels in the city centre can be found in ancient stone buildings, but you can also choose to stay a little further out of the city in large luxury villas with sweeping scenic views. Hotel San Lino – Staying in this hotel means enjoying a slice of traditional Tuscan living. Located inside the medieval walls of Volterra, the hotel is a wonderfully historic building with beautiful brick archways, traditional tiled floors and simple whitewashed walls. There’s a shaded outdoor terrace where you can soak up the simple atmosphere, as well as a rooftop terrace with breathtaking views. Cool off from the heat of the Tuscan summer in the well-maintained outdoor pool and dine in the hotel’s friendly restaurant. The tiny village of Pienza is set in the enchanting valley of Val d’Orcia, with beautiful landscapes and rolling hills. The village itself sits high on a hilltop and has fantastic views of the surrounding valley. Known as the “ideal city of the Renaissance”, the village was created by Pope Pius II in his attempt to turn his hometown into a utopian city. The result is a town made up of harmonious architecture that makes for the perfect place for your Tuscan getaway. You can reach other towns in the region by catching the bus from Pienza. Enjoy the village’s depth of incredible food and tradition by staying in one of the many breathtakingly beautiful luxury hotels. Relais Il Chiostro Di Pienza – Set in the tumbledown romance of a former 13th century Franciscan convent, Relais Il Chiostro Di Pienza features rooms done in an old world, classical style, which suits anybody wanting to stay in somewhere that truly feels like it’s a slice of the past. When it’s warm, the complimentary breakfast is served on a picturesque terrace, and the restaurant spills out into the beautiful garden grounds; this is also the time you’ll be able to use the outdoor pool. Situated 600 meters above sea level the charming city of Cortona has incredible panoramic views of the surrounding landscape as far as Lake Trasimeno. 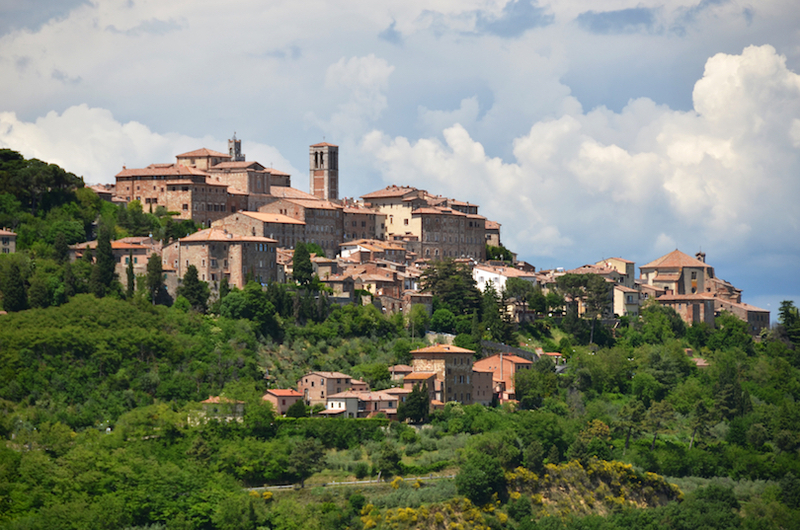 The town is so attractive that it became the setting for the popular book Under the Tuscan Sun. The popular book has attracted an increased number of visitors to wander the small, steep lanes. The town itself is protected by stone walls, inside a depth of ancient history seeps from every building and monument. Although popular, Cortona isn’t easy to get to but there is a local bus that runs from Camucia station. Staying in the dreamy town will reveal hidden gems and treasures, there is a lot of budget accommodation on offer but further out of town in the countryside, but inside the town visitors have many elegant, mid-range hotels to choose from. Borgo Il Melone – With its beautiful setting in a 19th century villa, you’ll definitely have a romantic stay at Borgo Il Melone. The rooms here come complete with decor that mixes the rustic chic of the building itself along with vibrant, modern touches, too; and when you want to get outside, this hotel also features 15 hectares of garden to explore. It’s not all about relaxing. You can take cooking lessons at this hotel, which is cool if you’re particularly enjoying the food on offer at the restaurant; you can also learn to paint, horse ride, or do a spot of wine tasting too. Famous for its Brunello di Montalcino wine, Montalcino is an enchanting hilltop town with breathtaking views which stretch out over the valleys of Tuscany, across the silver olive orchards, vineyards and farmland. You can reach Montalcino from Siena and it’s worth the journey. Inside magnificent Montalcino’s old walls, history unfolds in the well preserved medieval buildings and the rare pentangle fortresses. Stay inside the walls of the timeless town in one of the medieval buildings, complete with luxury decorations and swimming pools, where you can spend your evenings sampling glasses of that famous Montalcino wine. Castello di Velona Resort – When it comes to which Tuscan hotel can boast the most historic building, Castello di Velona Resort wins outright. This place, as you might be able to tell from the name, is actually set in a restored 10th century castle, which makes for a great spot for anybody interested in the history and heritage of the area. This decidedly upscale, rambling resort overlooks the stunning Val d’Orcia and boasts rooms that simply ooze sophistication: think antique furniture, period features, fireplaces, and panoramic valley views. The spa here is top notch, and there are also various pools for guests to enjoy. 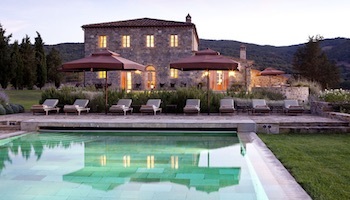 Montalcino itself is 13 kilometers away, but this place is all about being a retreat in the countryside. If you love the sea, and fashion, then this chic Tuscan town is for you. Known for its beaches, Forte dei Marmi is edged by the Apuan Alps and was once a holiday destination for Italy’s elite. This is the place to stay if you like Italian fashion labels and living a luxurious lifestyle on the Mediterranean. The town itself is named after the fort in the city center which dates back to the 18th century. Spend your days discovering the ruins of the hill top fort, with its castle and panoramic views, or simply laying on the beautiful beaches and dining in the decadent restaurants and historic bars. 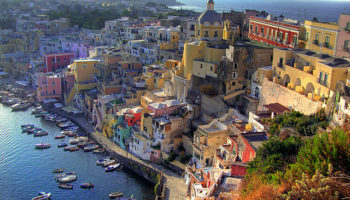 Hotels in the area are high-end and attract Italy’s top earning football players and socialites. UNA Hotel – With its simply minimalist rooms – complete with balconies and room service – UNA Hotel features an outdoor pool as well as tennis courts, making for a place where you can get active whilst relaxing in the cool surroundings. There’s a free buffet breakfast here, as well as free parking (making it great if you’re on a road trip); the restaurant here serves up delicious Tuscan style food and, when it’s warm enough, you can sit out on the terrace and eat. Looking for seaside action? The beach is just over two kilometers away.